Bio: Andreas Mueller received his MS degree in Mathematics (Dipl.-Math.) in 2008 from the Department of Mathematics at the University of Bonn. In 2013, he finalized his PhD thesis at the Institute for Computer Science at the University of Bonn. After working as a machine learning scientist at the Amazon Development Center Germany in Berlin for a year, he joined the Center for Data Science at the New York University in the end of 2014. 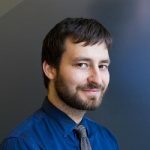 In his current position as assistant research engineer at the Center for Data Science, he works on open source tools for machine learning and data science. He is one of the core contributors of scikit-learn, a machine learning toolkit widely used in industry and academia, for several years, and has authored and contributed to a number of open source projects related to machine learning.